Rozanne's Cakes: Chocolate & Vanilla truffle cupcakes - R18 each. Chocolate & Vanilla truffle cupcakes - R18 each. 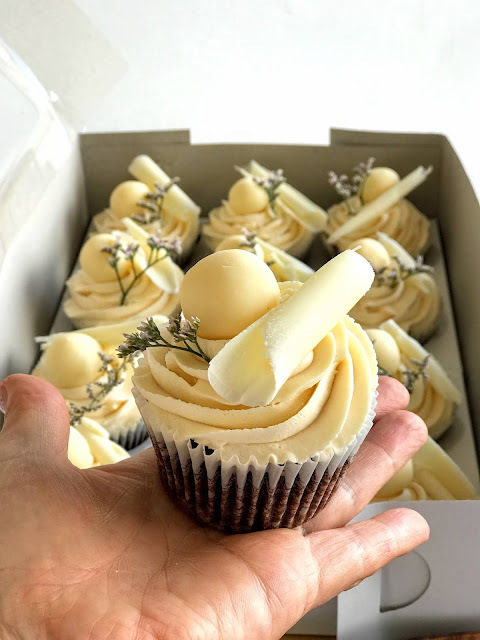 Lovely chocolate cupcakes with vanilla buttercream topped with white chocolate truffle and chocolate curl. Cupcakes Cape Town.